A: Insights is GroupMails Online Subscription Service for managing Opt-In and Opt-Outs Requests. 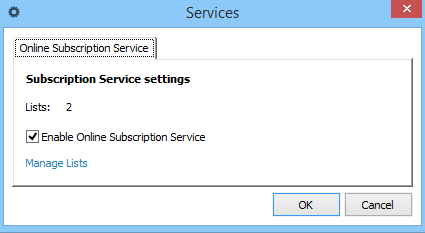 Check on the option “Enable Online Subscription Service“. There are some requirements in order to use the Subscription Services. * You must have a Insights Account. 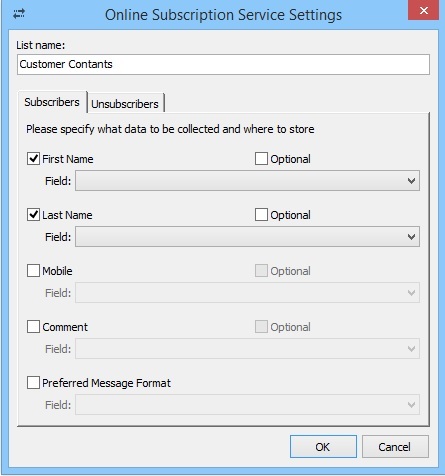 * You must enable your GroupMail Group to support the Subscription Service. When creating a New Local GroupMail Group. Click on “Modify” and select the “Unsubscribers” Tab. 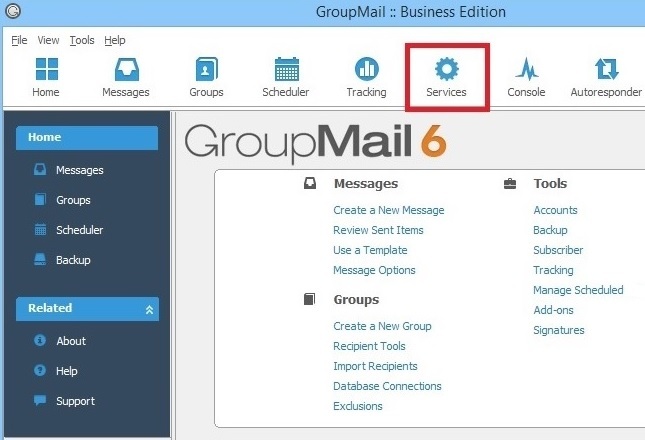 Select “All local GroupMail Groups” if you have more than one Local Group. 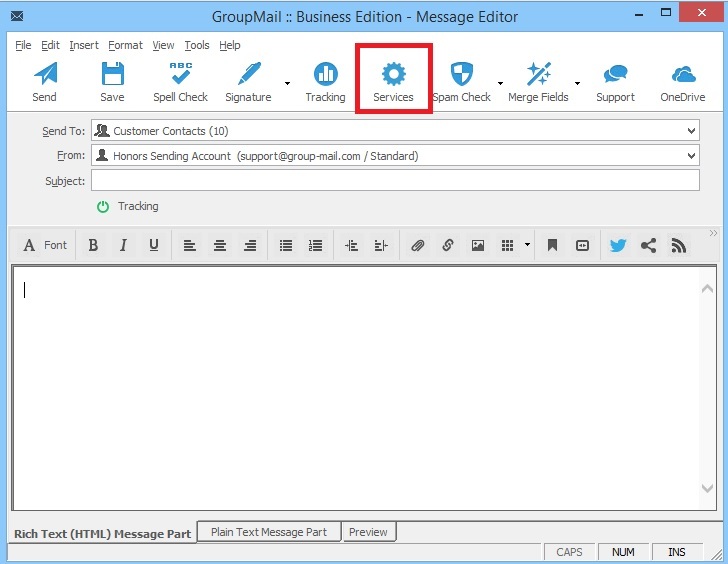 Alternatively, you can also choose to Exclude the recipient from future mailings but still maintain their details in your Group. 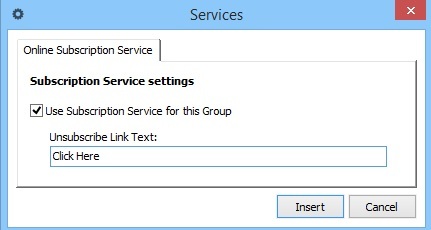 On the Message Editor, click on the icon “Services”. 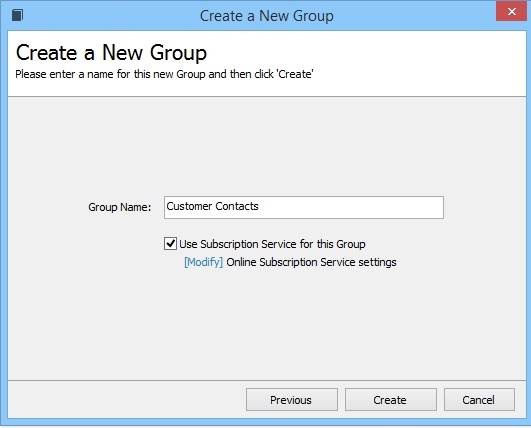 Enable “Use Subscription Service for this Group” if not already enabled. 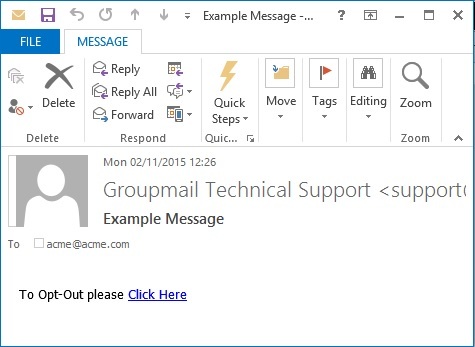 Then press Insert� this will insert the text into the Message Body. Once your message is complete, send to the Group. This brings them to the following screen. 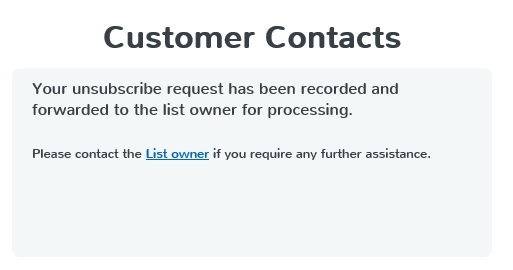 They simply need to confirm their request to unsubscribe. They will then see a Confirmation screen like this. 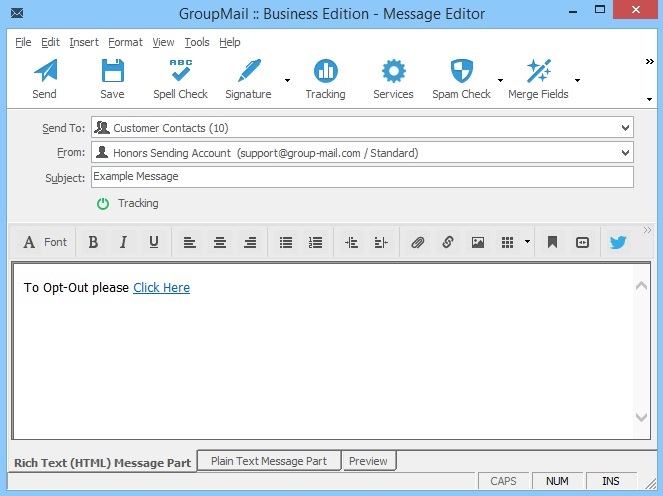 Finally, launch the Subscriber Add-On in GroupMail (Tools, Add-Ons Menu). Click on “New Account” and choose Manual Account Setup. 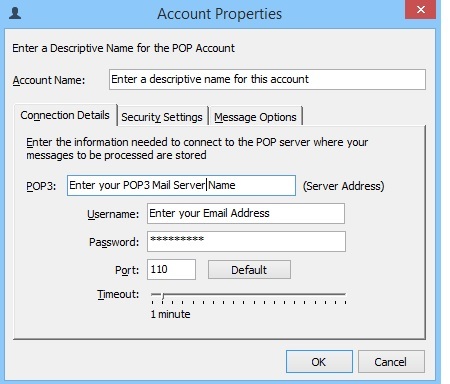 Populate with your Mail Server details. 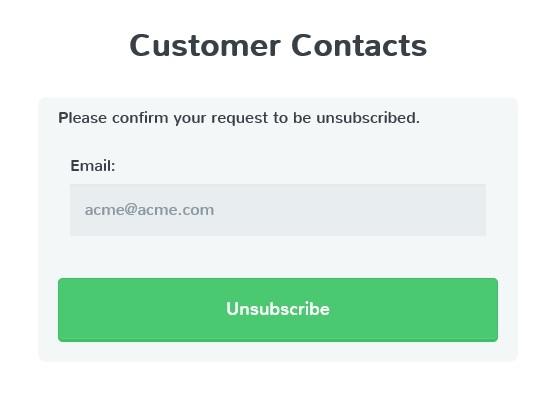 Now when the Subscriber Add-On is processed and Unsubscribe Requests will be processed automatically.